Warmer weather, beautiful flowers + new styles are upon us and we’re getting ready for it! We’ve put together the perfect springtime shopping guide to Vinings Jubilee! 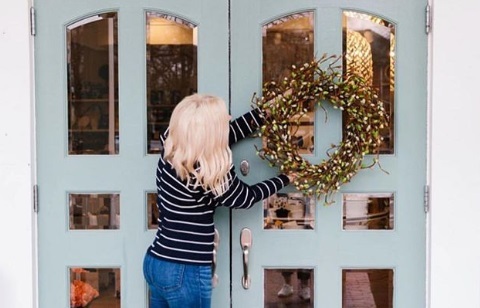 Vinings Jubilee has a little bit of everything for everyone, from home décor + clothing to restaurants + specialty shops, so revamping for a new season is super easy! Just finished up your spring cleaning? Head over to Waiting on Martha Home for the latest in home décor to brighten up your space! Now that warmer weather is on the way, summer outfits are a must! From trendy heels to dresses + rompers, Fab’rik and Hemline have you covered. Does warmer weather ever make you want to grab a new front porch read? Stop by The Read Shop and learn everything you need to know to start your own garden or get caught up in the latest mystery novel. Spring shopping can work up an appetite, so stop by one of Vinings Jubilee’s delicious restaurants for a bite. Café at Pharr is the perfect stop for a quick lunch during a busy shopping day. Leaning more towards a relaxing lunch or dinner? Paces & Vine, SOHO or Guaco Joe’s are the perfect fits.